If you take a lot of road trips abroad in rental cars, listen up; you need a dash cam. Hoping and praying that you won’t fall victim to road traffic laws, or bumps from other drivers, is a policy that can only last so long. Cue the 70Mai smart dash cam. Although they’re massively popular in Asia, the dash cam elsewhere is relatively new, but mushrooming. Now on Kickstarter, this tiny dash cam from the Xaomi-backed 70Mai is all about convenience. 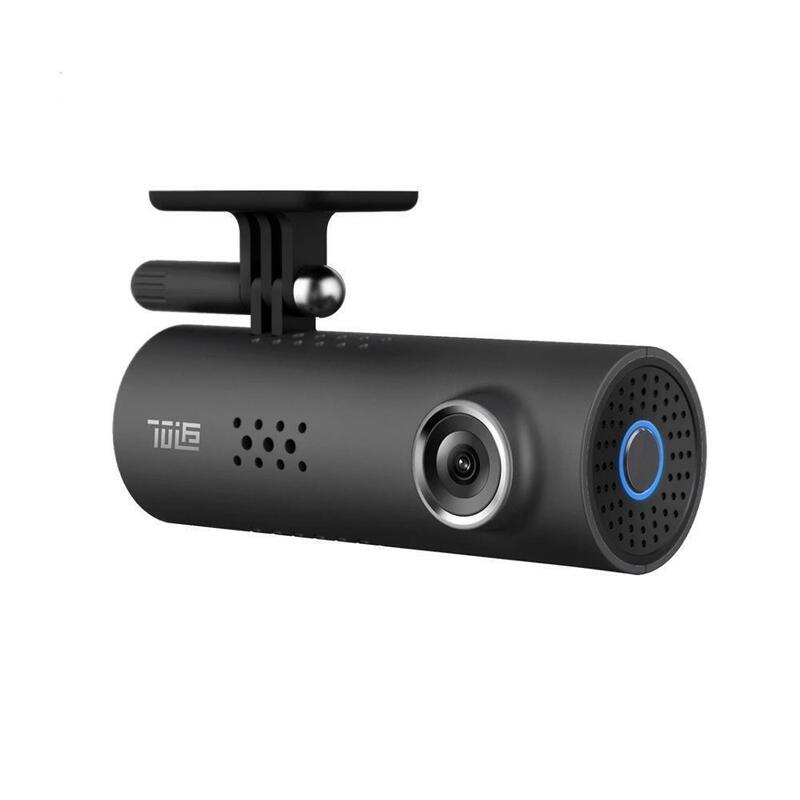 While most dash cams start to take video manually, this tiny device can be operated by voice (English included thanks to a Nuance engine – the same that is used in the excellent Dragon Dictation software), which all makes a lot of sense for driving. In our English language test, the 70Mai responded accurately each time. For instance, ‘start recording’ and ‘take photo’ were all heard correctly by 70Mai. However, while the photo-taking is acknowledged with a loud click, video begins and ends silently. It was actually recording, but during our first use, we weren’t sure if it was working or not. The video footage can be accessed via a free app, found by scanning a QR code in the instruction leaflet. TravGear was able to download it from Apple’s app store easily. It’s pretty good, walking you through the linking of the to the camera, so you can get a live view on your phone. That’s really important for positioning it correctly, plus you can also download the video clips and photos to keep. However, it is a little Chinese-biased in that the list of voice commands its compatible with is all in Chinese. However, it didn’t take much to guess the voice commands … start this, stop that, etc. All in all, it was all very easy to understand. It’s small, too, about the size of a small handbag sized smartphone battery. It installs onto a car’s windshield via an included electrostatic film, which basically means you can remove it without leaving marks on the glass. That’s fine, but having to travel with that thin electrostatic film is not the perfect solution. Some kind of glass-sucker would have been much better. Thanks to its use of a Sony IMX323 sensor – the same as found in many action cams – the 70Mai records more in low-light. It’s also got a 130° wide angle lens. Video is recorded to a 16GB-64GB microSD card at 1920×1080 resolution at 30 frames per second. In use, the 70Mai isn’t quite hands-free. It’s also worth stating that the 70Mai has almost no battery of its own; the 240mAh battery inside is only able to keep it recording for a the few minutes it takes to set-up and position correctly. Included in the box is an extra-long USB cable that plugs into a USB car charger (which attaches to the cigarette lighter). That’s a slightly messy workaround, though to have a sufficiently large battery to allow it to film for a couple of hours cable-free would make the 70Mai far larger. Affordable, producing god quality video and photos, and so easy to use and install, the 70Mai impresses.